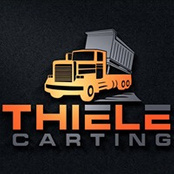 Thank you for visiting the website for Thiele Carting and Plowing LLC. We provide dumpster rental and demolition services in Ravena, NY, and the surrounding areas. You can also rely on us for land clearing and snow removal work. We look forward to serving you. Please use the form on this page to email us with any questions.